Home > Legal > Which Court Form Do I Need? Deciding which court form is needed can be confusing. The courts have wide powers regarding the types of orders that can be made in relation to children and families. There are different court forms which may be needed depending on the type of order that the applicant wants the court to make. Below are some common scenarios and the type of court forms which may be used. If children live with one parent and the other parent is not happy with the amount of time that they get to spend with the children that parent may want to apply to the court for a Contact Order. It is always best to try to reach an agreement without having to go to court but, if that is not possible, an application can be made to the court. To apply to the court for a Contact Order form C100 should be used. If the court has already granted a Contact Order but one of the parents is not complying with it the other parent may apply to the court for an Enforcement Order and / or for an order that the person who has breached the Contact Order provides financial compensation to the other parent. Under an Enforcement Order the parent who has breached the Contact Order may be ordered to carry out unpaid work. Financial compensation may be appropriate if one parent lost or wasted money because the Contact Order was breached. 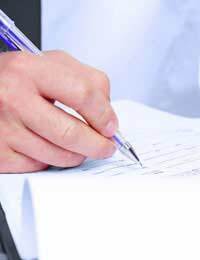 Form C79 should be used when applying for an Enforcement Order or for financial compensation. The courts can only grant an Enforcement Order, or order financial compensation, in respect of a Contact Order if the Contact Order contains a warning notice. This notice tells all parties to the Contact Order what might happen if they do not comply with it. Since 8th December 2008 all Contact Orders have a warning notice attached automatically. If a person wants to apply for an Enforcement Order in respect of a Contact Order made before 8th December 2008 they must first apply to the court for a warning notice to be attached to it – this is done using Form C78. A person who has had an Enforcement Order made against them may ask the court to cancel it or set it aside if they think it is no longer necessary for it to be in force. To ask the court to cancel or discharge an Enforcement Order form C79 should be used. This form can also be used to ask the court to change the terms of an existing Enforcement Order. If specific allegations are made that a family member has been abusing or harming a child or children it may be necessary to complete form C1A. It is still common for children to live with their mother when their parents' relationship breaks down. However, there is no law which says that this is what must happen. If a parent wants the court to make an order that the children should live with them they can use form C100 to apply for a Residence Order. Fathers do not automatically have Parental Responsibility for their children. They may not have it if, for example, they were not married to the child's mother when it was born. If the father and mother reach an agreement that the father should have Parental Responsibility the father can apply for a Parental Responsibility Agreement using form C(PRA1). Step-fathers can apply using form C(PRA2). If it is not possible to reach an agreement about Parental Responsibility an application can be made for a Parental Responsibility Order using form C1. There may be cases where one parent is worried that the other parent is going to do something, which may not be harmful in itself. However, it may be something that impacts on the other parent's relationship with the children. For example, the children's mother may have relatives abroad and the father is worried that the children will be taken abroad to live permanently. The court may be asked to make a Prohibited Steps Order using Form C100. If an order is made the parent will be prevented from carrying out the particular act without first getting the court's permission. @bobthedog72. (so do I )but I found something I have (committed )to building a house on the land left to my brothers I brought one brothers share out .its probably the most significant thing I will ever do in my life .but it has helped get me on track I finally have a( bloody plan )everyone was telling me that I am getting old and need to settle down and get married I said screw that I will commit to a build there is my marriage 25 year commitmentnow everyone is off my back . I want contact with my beautiful girl when its been stopped for 8 years. My daughter was born on October 2013.l broke up with her mom on May 2015.she left our daughter with me.l have been raising her since she was 1 year 7 months.l have always allowed her to come and see the baby.since we separated she has seen the baby three times.and we were not married.after three year absence she now wants to take the baby.she is unemployed she is staying with her parents.do l stand a chance if l fight her on this one legally. @shez .oh you poor thing.hey your ex is just speaking the truth about you and your dopey partner .i do the same with my daughter I tell her the truth and we laugh and laugh like to peas in a pod .and she said daddy you are bomb can I move in with you because we don’t have Colgate at Mum place or clean underwear Mum said I can get to days out of a pair if I turn them inside out .and to shower in a can of deodorant to save water .i said darling you and shower as much as you want at my place and guess what I believe inColgate she was shocked with delight and said now I am living with you daddy the kids at school don’t call me stinky and I am hanging with the cool group but she said I need the same shoes as my friends can you buy them for me Mum made me wear men’sVelcro Dunlop’s .i said darling let’s go shoe shopping I will have running the cool group at school she was smiling like a Cheshire Cat I said it’s good to see your pearly whites darling .she said it’s good to live with you daddy. The link here , should tell you all you need to know regarding the process you would have to go through. My partner has had his son Tuesday evenings/nights, Friday evenings/nights until Saturday teatime since he separated from his ex. Now she has always been a bit hit and miss of letting him see him but recently ithas gotten worse the nights he has his son they’ve been staying at my place as his son and my son get on so well and want to have sleep overs and spend as much time together as possible. The ex doesn’t like this and has now either started to bad mouth myself or staying at mine or his dad in general to the point he is petrified of getting told off by his mum to not even allowing him the chance to see his son at all. Her reasoning being she would like my address which is fine but when my partner asked for her partners address so he is aware of the places his son is staying over night she refused and told him he was being pathetic. Is the only option for this court as I can only see it getting worse or any suggestions on how to help the situation? I've been taking care of my daughter coming up to nearly a year now. from a previous one night stand whom I had know her mother since school.I am not on the birth certificate but she resides with me 24/7 I claim for my daughter she hasn't seen her mother since she told me child 1 was mine and she wasn't in a stable state of mind mentally and physically wasn't able to take care of her. Of course I went and took my daughter. Recently I managed to get hold of her wanting her to sign the form for me to be added on the birth certificate. she refuses and is still off the scales mentally to speak or cooperate.What and how do I go about doing this quickly. If you claim child benefit and your daughter officially lives with you, then you would have to apply to court as currently you have no rights. You may wish to seek legal advice, as you are in a precarious situation as your ex could take your daughter without your consent. If you are not registered on the birth certificate there is little you can do. However, if you can prove your daughter lives with you and has done for a year, then it is likely the court would grant you residency of your child. hi.i have split from my ex partner nearly 10 months ago and we have a 15 month old baby.she stopped me seeing her about a month ago cause my new partner has meet the baby.its been about 2 weeks now since she's let me see her.and last night I dropped the baby back we had an argument and she's saying I'm not going to have contact and to take her to court.ive had abuse of her what can I do please? I've been taking care of my daughter coming up to nearly a year now. from a previous one night stand whom I had know her mother since school. I am not on the birth certificate but she resides with me 24/7 I claim for my daughter she hasn't seen her mother since she told me child 1 was mine and she wasn't in a stable state of mind mentally and physically wasn't able to take careof her. Of course I went and took my daughter. Recently I managed to get hold of her wanting her to sign the form for me to be added on the birth certificate.. she refuses and is still off the scales mentally to speak or cooperate . What and how do I go about doing this quickly. My sons ex girlfriend has just had a baby girl, we all want to see her but we do not know where she is, all my son got was a phone call to say she was born and don't try find her, has you can imagine we are all heartbroke , what can we do ? I am sorry to hear this. Your son can apply to court, please see the link here. Alongside this your son can fill in a C4 form, which is an application for an order for disclosure of a child's whereabouts, please see link here. This will allow the courts to put a trace on your son's child in order to allow him to bring the matter to court. Hi so long story short, me and my sins mum broke up 4 years ago when my son was 1. Contact has always been a struggle although I have parental rights. She always found an excuse to not let me see him. On 2 separate she denied me access for a period of 6 months. Firstly when he was 2 and secondly when he was 4. I missed both Christmas and birthdays on these occasions. Regardless of thus I have still continued to pay maintenance every month and continued to plea with her for contact but she holds all the cards and my hands seem to be tied. Eventually I turned to mediation which she agreed to and we came to a reasonable agreement that was best for our son. I am currently away with the army in deployment for 6 months which I hold my hands up an admit is not fair for our son but it's my job. Having said that I get daily abusive messages about being a dead beat dad, she frequently blocks my number and has only let me speak to him once. I know she is going to stop contact again and I need advise as what to do and who can help. It seems the systems are in place to give the mothers the benefit of the doubt and the protection of the government. If the mediation agreement breaks down, you can then apply for a court order, please see link here . The court will not make a judgement on you having a job that takes you away. As in all cases, the court’s main concern is the welfare of the child in question. The court will always put the child’s best interests first and this main issue will determine the outcome of any application for an order. My daughter doesn't like living with her mum she feels neglected and she doesn't look after her properly. My daughter wants to live with me and my wife and her little brother is there any court application for that ? Where the child choice to live with it's taken in consideration. Much depends upon how old your daughter is and whether you can prove that your daughter is neglected. If your daughter is over the age of 13, then she will have an opinion in court. However, as in all cases, the court’s main concern is the welfare of the child in question. The court will always put the child’s best interests first and this main issue will determine the outcome of any application for an order, regardless of what the child's opinion may be. In this case, you may wish to seek legal advice to see whether you may have a case. It is rare the courts will take a child and hand the child over to the non-resident parent unless absolutely necessary. @ryanOI think this is probably what is happening. I suspect she is saving all the benefits at her parents so she can buy a house. As I can not afford a solicitor I need to do the court process myself. Would anyone give advice where I can get some help filling in the correct form needed? If you have problems filling in your form, you may be able to get help from our Separated Dads forum. However, if you have not attempted mediation first a court is unlikely to accept your application (unless you live long distance from your child) please see link here. @Simon - is it because if she gives up her rights as primary carer then she loses all her benefits? There's not much you can do in these circumstances except to apply to court. My partner split up with me 10 months ago and took my two kids, 3 & 2 and went and moved with her parents, still there. Since the split I have bought her share of house and see the kids on Thursdays all day and the evening. Then dependent on whose weekend it is, the kids will either stay with me or her until Sunday early evening.Currently, both I and my ex both work. During the days over a 2 week cycle we share 50/50 with them either with myself, my ex, or nursery/preschool, however this is just during the days. I went to mediation to move closer towards 50/50 inclusive of days and nights. There was some success with my ex agreeing that I could have them for one additional night once a month, and also holidays can be split 50/50. This to me suggests she is still aiming to be in control and to not fully accept my equal responsibility to care for them as much as herself. I would like other fathers advice who may be in the same position as to whether I should pursue this for 50/50. My thoughts are that we can work together now, so we could also work together if 50/50. I currently have no support nor recognition that I am a main carer for my own kids. I only work 16hrs p/w through choice to see my kids more before they go to school as I am self employed I have this flexibility. The hardship has come through lack of funds as I am to provide everything from scratch for them to try and provide a home here with me. My ex demanded I provide my own everything, clothes, accessories etc.